This walk: 2012-6-8. A visit to Shipley Bridge, River Avon in spate, rhododendrons, Meynell memorial, Hunter's Stone. Link to Google Satellite view of the area - The Shipley Bridge car park can be seen near the centre bottom of the aerial view. The view (before you zoom in etc.) covers almost the same area as the map at the bottom of this page. 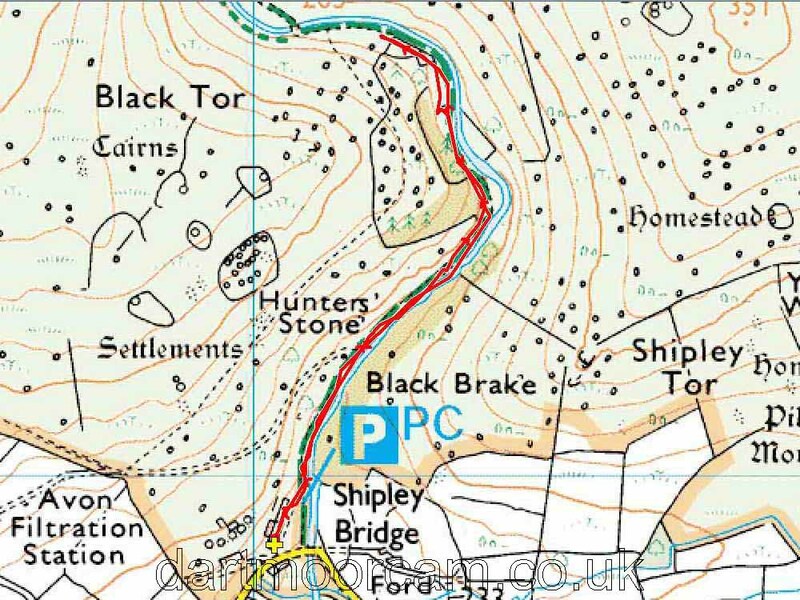 This walk is a repeat of the one undertaken on 17th April 2012 - this earlier walk has more textual detail. once viewing, make movie viewer "Full Screen"
Showing the Hunter's Stone in context.